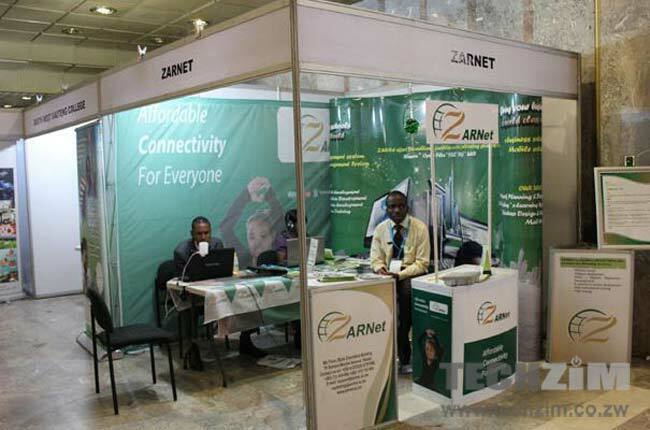 The government has moved to acquire a majority shareholding of Portnet Software PL through its wholly owned state enterprise and Internet Service Provider Zarnet. This was announced in a press statement released in the Herald. The deal will see the government owning 51% of Portnet Software. Portnet Software was established in 2005 under Portnet Corporation and has been a provider of SAP services to the government and the private sector locally and across Africa. Zarnet was founded in 1997 as the government’s IAP. According to the press statement, the acquisition by Government was mainly meant to answer what the ICT Minister Supa Mandiwanzira described as security threats that the government is exposed to by getting services from non-Zimbabwean private companies. This discussion was triggered by the acquisition of a majority stake of Twenty Third Century, one of Zimbabwe’s leading SAP providers, by EOH of South Africa. Acquiring Portnet Software also solves the issue of the government relying on one supplier for its enterprise solutions while at the same time reduces the overall costs of the same services by removing the third parties involved. It is also a chance for the government to earn some revenue from the traditional and new Portnet Software customers. Earlier this year, Zarnet mentioned as the vehicle through which government would acquire Telecel, through a deal which was being conducted through CBZ bank. That story is still to be concluded, but it seems Zarnet already has its sight on other things. This is something big for a company that had nothing to show for with a US$290,000 loss in 2013 according to the Comptroller and Auditor General. The curious question is how the government managed to raise enough money to facilitate this deal at this particular point in time when it has no money. Lately, ICT and broadcasting related projects have been prioritized and are being mentioned as focus areas. In the recent State of the Nation Address, the President also highlighted tech as part of the country’s 10 point plan. This indicates a higher likelihood of the budget for ICT being recognised against other ministries. Is the government finally waking up to the realities of ICT in governance? I am curious…why not just go direct to SAP and get the product without necessarily buying another company…..Hire or train the necessary consultants…and u would have saved yourself some dollars. SAP does not allow clients to contact them directly. They want clients to go through an accredited partner such as TTCS. Same as IBM, Oracle, VMWare e.t.c, you pay licences and get service through accredited partners. Since government is the final client…wouldn’t it have been more economical for Zarnet just to getting accreditation and offer the service to Government and others. This smacks to me like they are just buying a shelf company. Chances are Zarnet already has a software division. Will be waiting to see how much they bought it for. SAP is a huge piece of software. And having the software is just a third of reaching your solution. Why not go directly to Microsoft to by Office? Is Zarnet the central computing services of government? If they are then they should first sort out the computing systems at the passport office and at the registrar of companies than wasting taxpayers money on Portnet, Telecel and whatever the minister fancies. You think Zarnet can compete with TTCS? Of course not? This ministry lacks cohesion, purpose and direction. How do you hatch up an acquisition plan based on emotional incoherent rationale as outlined by Mr Supa? Who exactly advises these guys?? Fire the lot of them. Useless. Where do you start with the firing? Permanent secretary in the Ministry!! Then followed by everyone in that political fundraising Potraz! Government has no money so they must have converted some debt into equity, otherwise as taxpayers we should demand to know how much they paid and why? Secondly the reasons for buying Portnet are not correct but based on an emotional outburst without thinking. Does it matter who provided SAP to government, ZESA, Dairibord, etc. or the issue is using foreign software in foreign manufactured hardware? Who supplies government with Microsoft Office etc.? The bottom line is that taxpayers money is not being gainfully employed by the ICT Ministry. If Zarnet is so good why did they allow TTCS to supply SAP to government in the first place? What exactly does Zarnet do by the way? Either you are not a Zimbabwean or you are one who is far removed and totally clueless of how it operates. You think a Zimbabwean taxpayer can demand accountability and be heard in this country? This headline is misleading why not just say the government has found an alternative software provider rathtr than label TTCS as an IAP when you know they do not offer internet access??? If I could, I d start by firing The President(Mugabe) himself. The old man cant listen to reason. Software/Tech will never take off with Bob in office. Techubs setup in Harare. What about other cities? We just dont matter.